When you have purchased a good quality mattress but may not be getting the comfort you require, the memory form mattress topper helps to achieve a more supportive and comfortable night sleep. 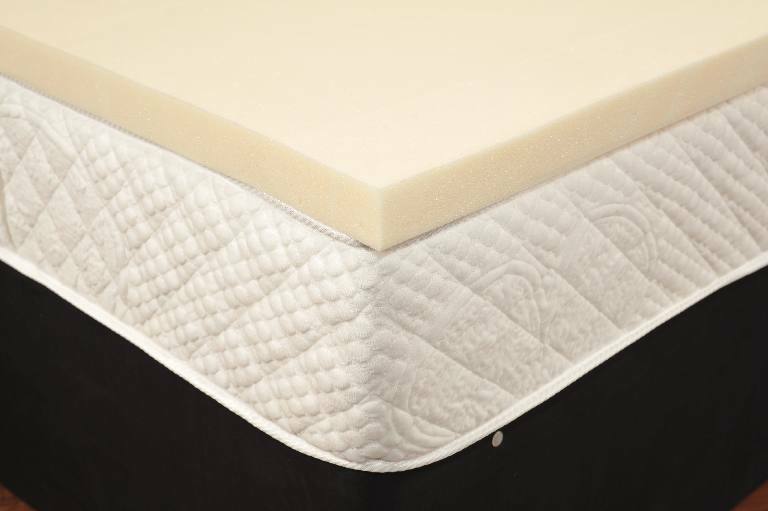 Whether you want to add extra softness to your new bed or add an extra layer of comfort to your present bed, a memory foam topper will provide a superior sleeping surface at a fraction of a cost compared to buying a completely new mattress. To provide choice of service, we offer two delivery methods from varying courier companies, a 1 man economy service and a 2 man room of choice delivery. This service provides a delivery to your property entrance only. Once dispatched, your order will arrive within 3 working days (5 working days for Scottish highlands) excluding Saturday. Deliveries cannot be booked in for a select day or time slot. Delivery is made between the times of 8am till 7pm. Tracking information will be emailed by the economy courier. The courier will be in touch shortly after dispatch to book in a delivery date. We offer a no quibble 14 calendar day from day after delivery to accept unwanted order returns on all products. Fore more information about our policy please view the full Returns Policy.